not offer value for money when it comes to lodging. A stay in a luxury hotel could easily cost you a fortune! 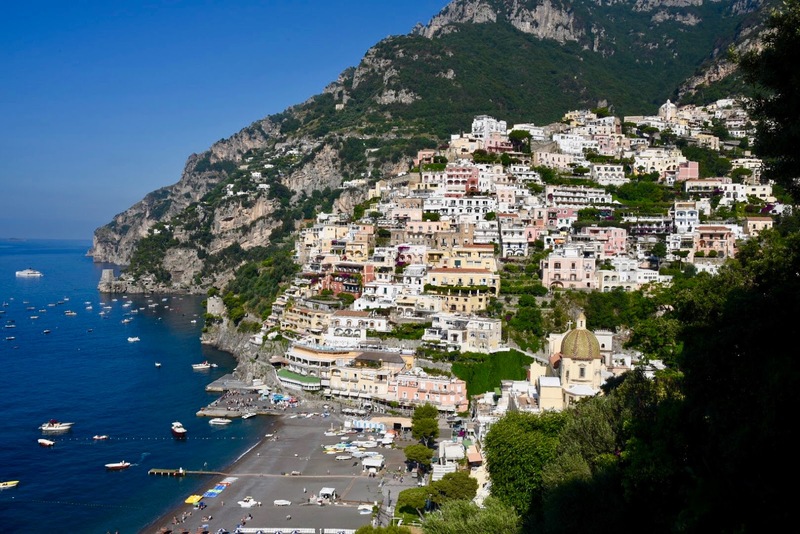 The Amalfi Coast is no exception here, I would say it is even worse in this respect than other known places I have visited in Italy so far. Upmarket hotel rooms here for less than 1,000 EUR a day are hard to come by! 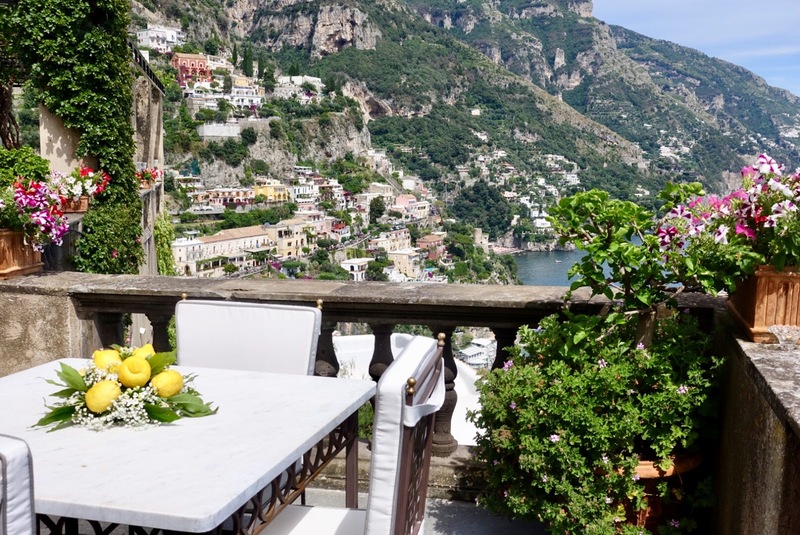 After a long research, my husband and I came across the Villa Magia in Positano, a small hotel that at least promises much space for your money! 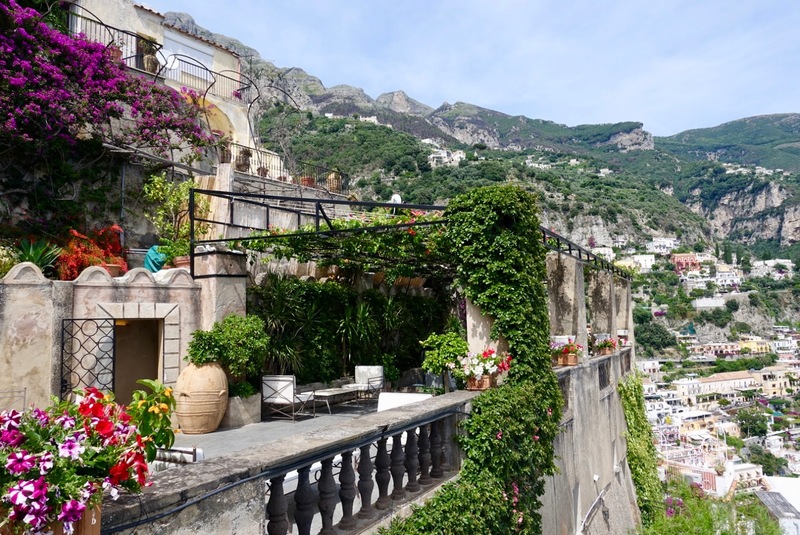 We made it our base for our six-day stay to explore the Amalfi Coast (a blogpost about what to do here will follow). 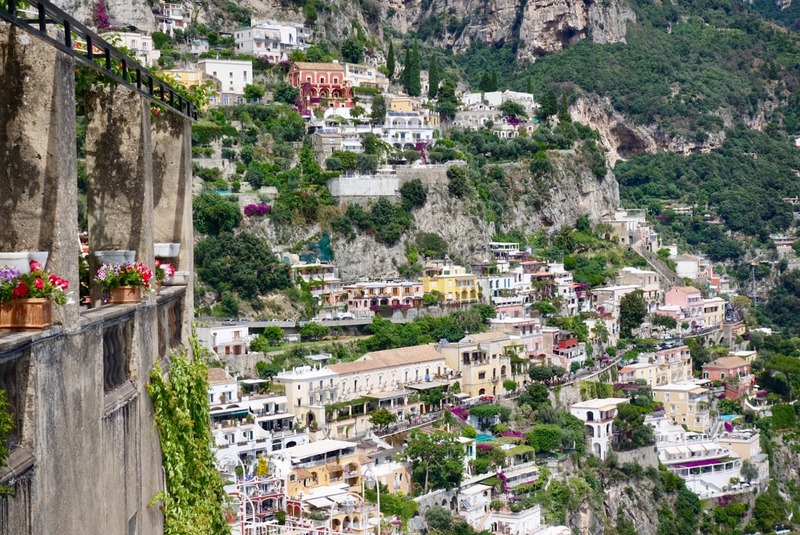 All the towns on the Amalfi Coast are picturesque but Positano tops the ranking. Beautiful houses cascade like a waterfall down the face of the mountain, wonderful! In addition, it is the most popular, busiest and most centrally located place on the coast. tucked away between two streets. The lower one can be reached in about two minutes, the higher one in about one minute. In this way, it is quite accessible by car. That said, getting around by car is not really an option here as traffic is heavy, roads are narrow and parking space is scarce. On three day trips out of total five we took the ferry and in this case it makes sense to tackle the seemingly endless flight of stairs after every tour (estimated 550 stairs, can be done in about twelve minutes given that you are fairly fit). Many good restaurants are nearby and can be reached by foot without taking on overly sweaty climbing activities. One other aspect has to be considered as to location. You have to be well aware of the fact that you are here on the more scenic part of the town, which can be best viewed from the other one, e.g. from the Hotel Sirenuse. But the vistas from the Villa Magia are also not bad at all. 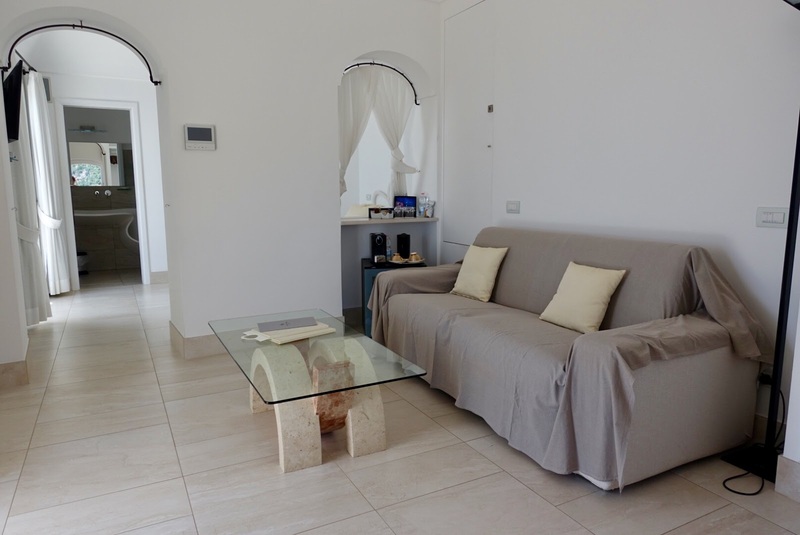 As mentioned, Villa Magia is a small place, at least when it comes to the number of rooms. There are only seven of them but spread over five floors. 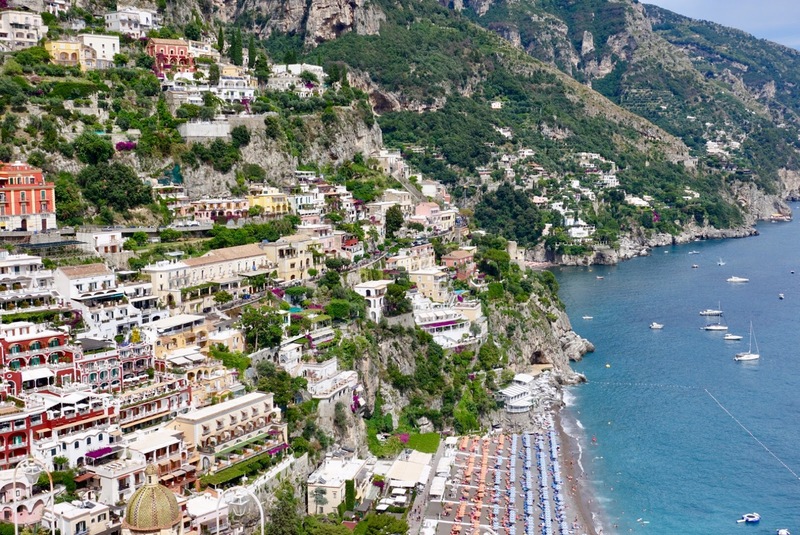 All of them are generously sized, especially compared to other hotels in Positano. Plenty of room is the keyword at this hotel, which cannot be taken for granted in a terrain being so steep. Spread over the property there are several public terraces to sit and relax and/or to have a meal. and fitness area as well as rooms for massage and treatments. There is also a restaurant/bar onsite, more about it later on under the rubric “Food”. Services include a personal concierge, a free porter service, a private boat for tours/transfers and a driver service. 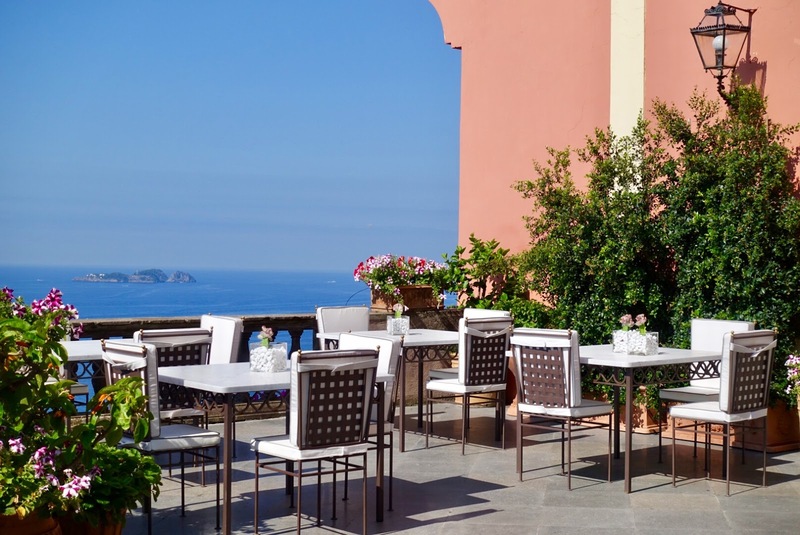 The hotel’s oldest building dates back to the 18thcentury, which was built as a watchtower to warn the local people of attacks by pirates. 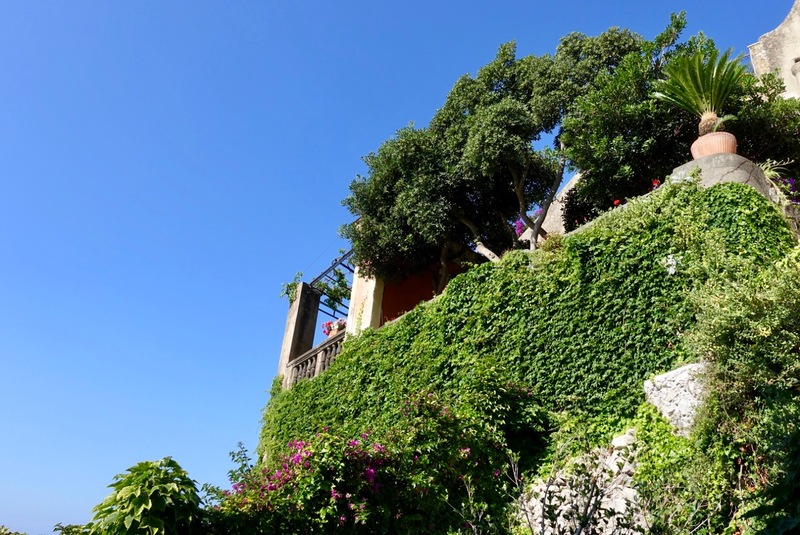 In the 20thcentury, two more levels were added, making Villa Magia the largest on the Amalfi Coast at the time. 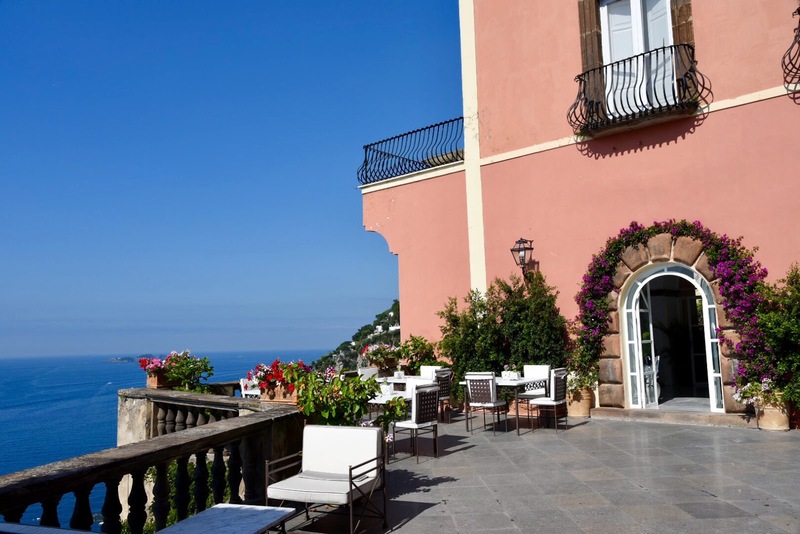 In 2015, the private residence, owned by the hotelier family Vespoli, was converted into a hotel. The family, who had been living here for over twenty years, still owns the place and is in charge of its management. 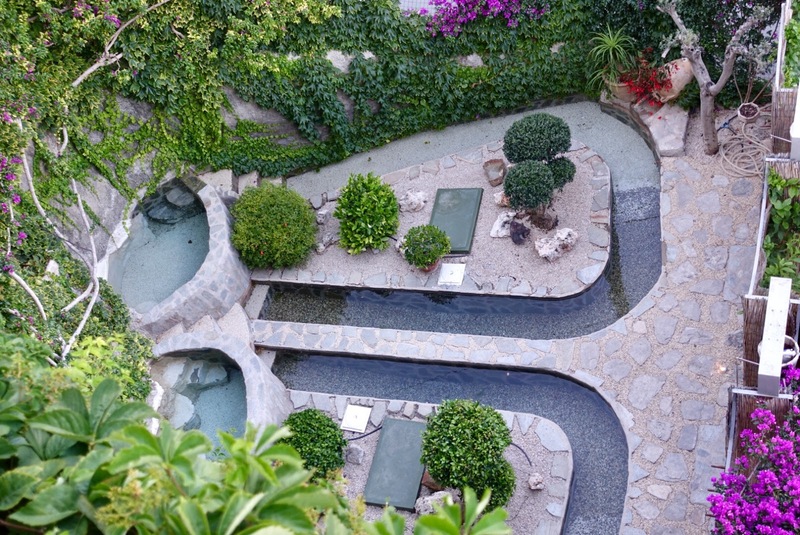 In light of the Villa Magia’s history, this hotel is not your usual one but feels very boutique and exclusive. Although being fully booked on some days during our stay we seldom saw other guests as there are many places to have breakfast and/or dinner. At certain times, we even got the impression to have this beautiful villa all to ourselves! 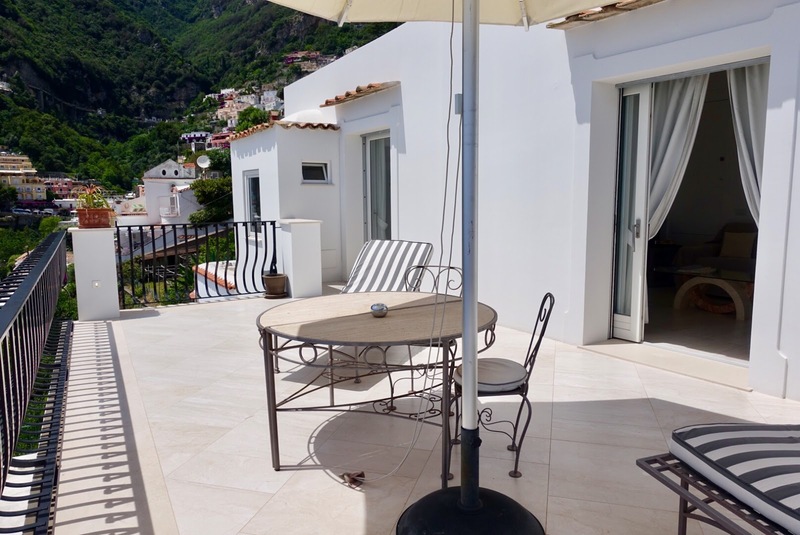 as well as a large terrace with great panoramic views. So much space in a place like that, terrific! 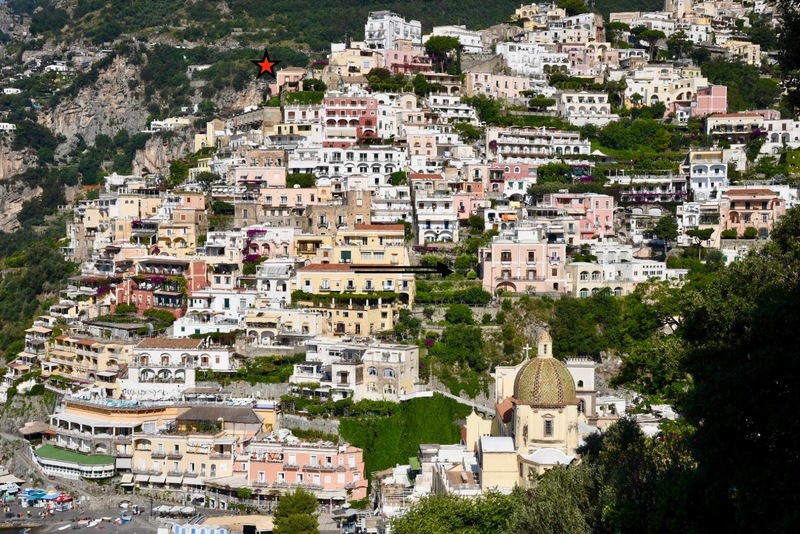 Regarding pricing it has to be said – as mentioned at the beginning – that here in Positano good bargains are not likely to be made. This is true for the Villa Magia too but at least you get here more space for your Euros spent than elsewhere in this town. In high season, the rates for the rooms range from about 700 € (double room) to 2,500 € (suite that can house eight persons) per night. 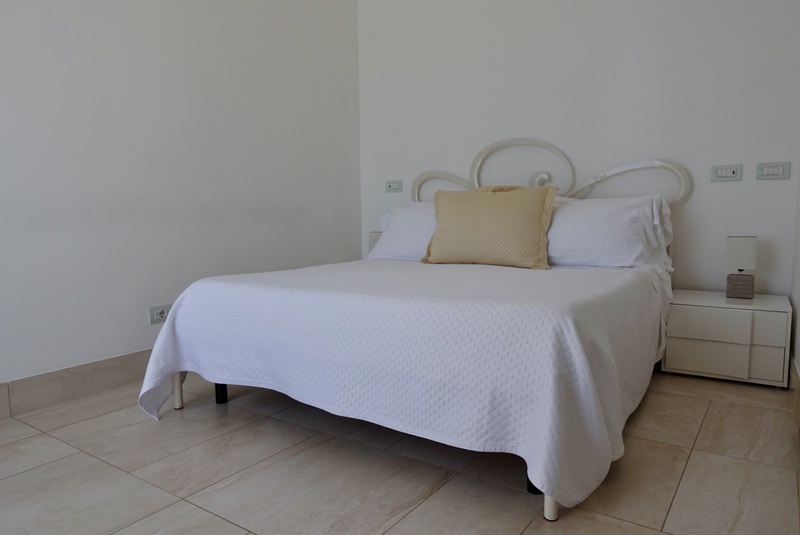 All rooms are large, contemporarily furnished and have sea views. Staff is plentiful and many of them have multitasking capabilities. The ones who carried our luggage from the upper street to our room also helped in the kitchen, served food and cleaned the pool. 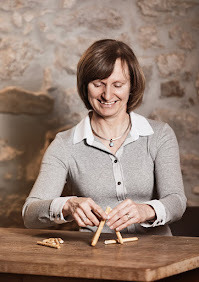 Our concierge, Sandra, always made sure that reservations for the driver service and for restaurants went smoothly. Others served dinner (Salvatore) or did this and that (Claudio), always with a smile. It was made very clear to us that the hotel and staff are at our disposal and we need only ask should we want anything. Personalized cell phones were issued to us with pre-programmed numbers for this purpose. We were extremely well looked after during our stay. Although the interaction with the employees was personal, staff always was discrete and unobtrusive. One of the them stood out especially positive and this was the chef, Luigi. More details you find just below. While the hotel already opened in 2015, only two years later Luna Restaurant was added. The bar/restaurant area is located on the main terrace just after entering the property, a part is covered with a pergola. The ambiance is very intimate, with four tables only. 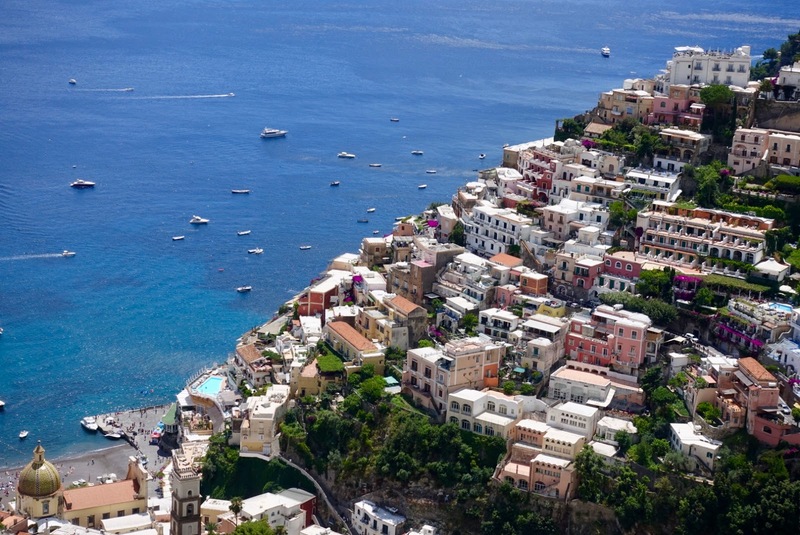 The view is amazing, overlooking both beaches in Positano. We had lunch here once and dinner three times. 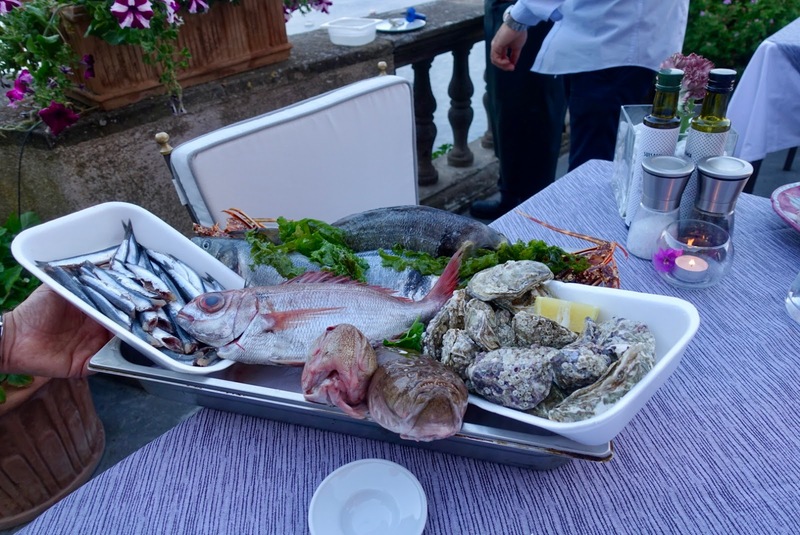 You do not order from an menu but the chef, Luigi, speaks to you about your likes and creates something special based on what the fishermen and farmers market had that day. 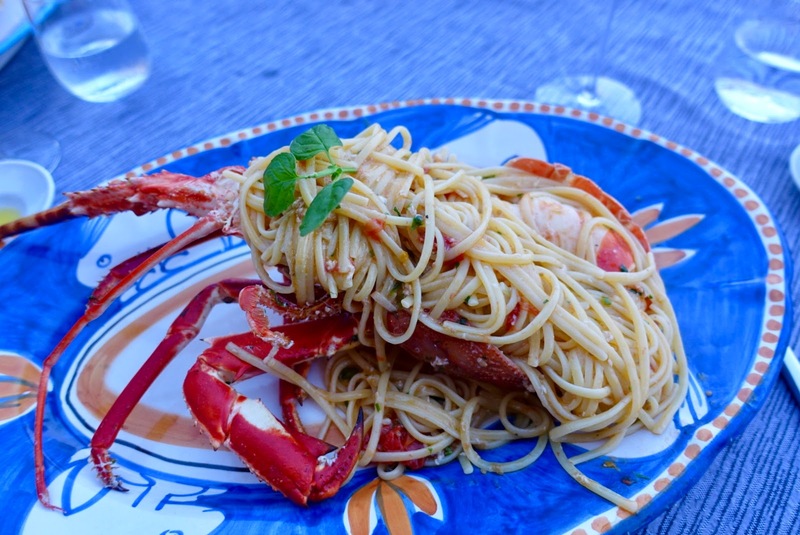 The cuisine is traditional Italian, made with the best and freshest ingredients and super authentic. 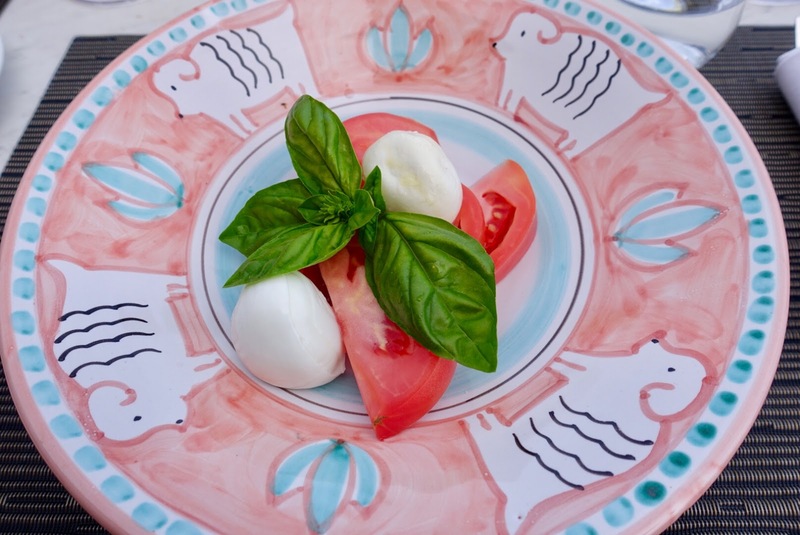 We had the best “Insalata Caprese” with homegrown, tasty tomatoes and delicious burrata. And the chef is so passionate about his work and a gracious person too! Sometimes he brought us a starter or a dessert without us having asked for it and did not charge us for it. 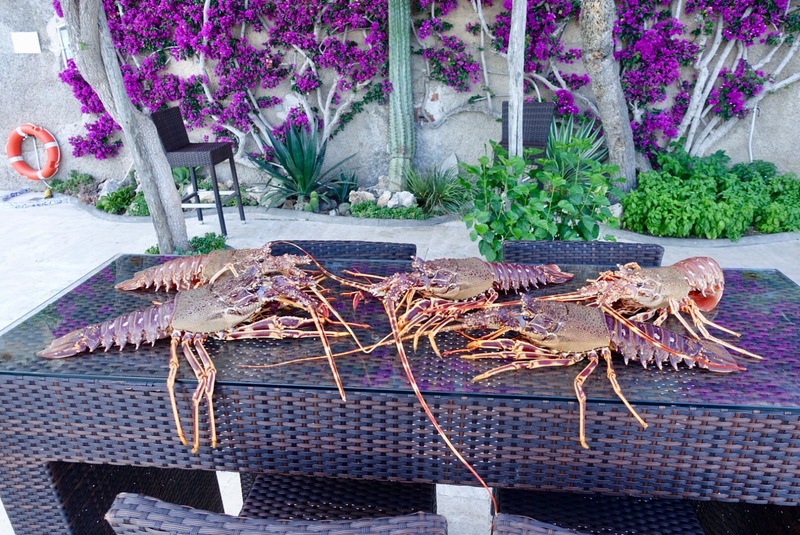 On our last day, he showcased living lobsters, caught in Capri, in the pool area and we could pick ours for dinner. They were heavenly and so big, we had troubles to eat all of them. 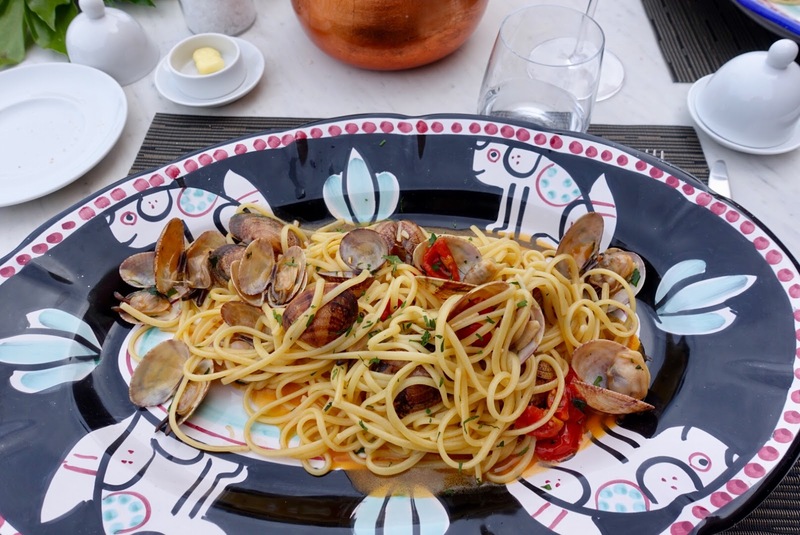 They were accompanied by the most scrumptious spaghetti aglio e olio. We had them more than once and could not get enough of them because they were so tasty. On our first day, we had them for lunch, served with mussels. As to the breakfast, this has to be ordered on the evening before, and it works just as room service, although you can have it served wherever you want, also on the main terrace where dinner service usually takes place. There is a wide selection to choose from. They do terrific omelets, the orange juice is freshly squeezed and the chocolate almond cake is divine. A bit underwhelming was the canned fruit salad we got on our last day. In my view, it would have been more appropriate for such a small hotel to offer less choice but to make sure that everything is homemade respectively stems from a good source. But this is just a minor thing to be improved. The complete package here is promising enough. Of course, we also checked out the local culinary scene outside the hotel. More information can be found on my blog soon. 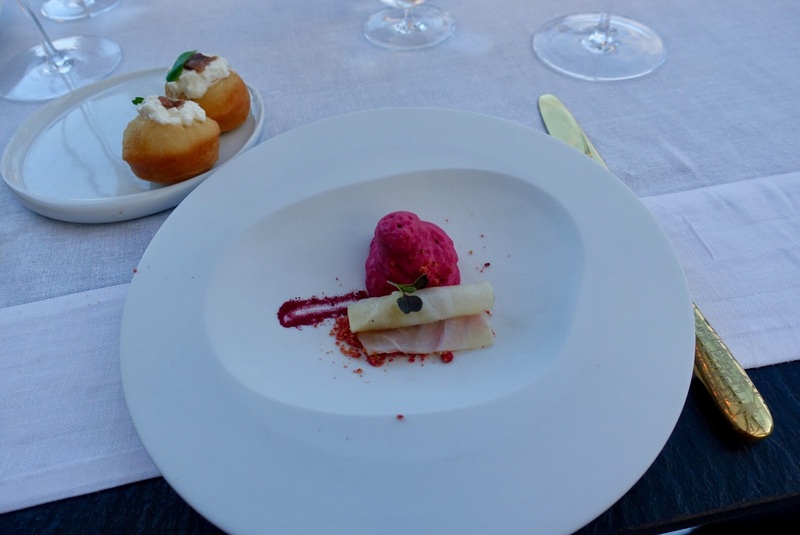 We had such a great time at Villa Magia, being pampered on all fronts throughout our stay. We were fond of the hotel’s location although it involved a lot of climbing stairs. 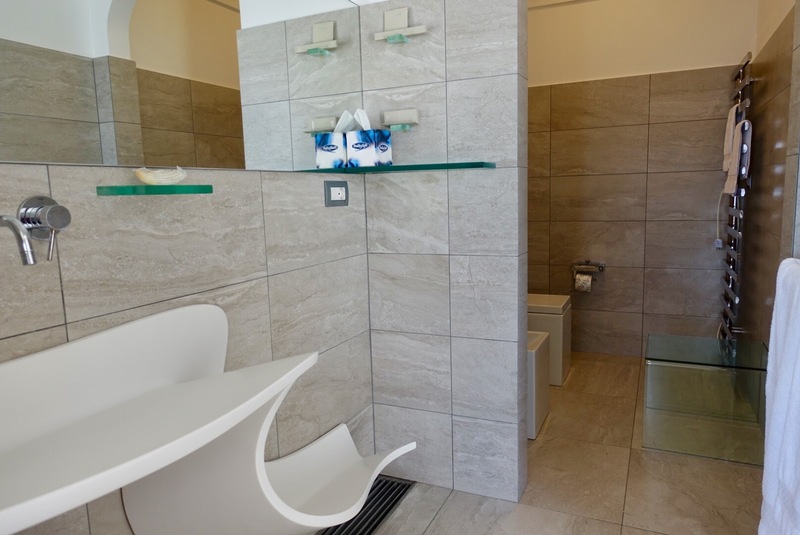 The villa offers all the amenities a sophisticated traveler could wish for in spite of having only seven rooms, all of them unusual large compared to most others in the area. 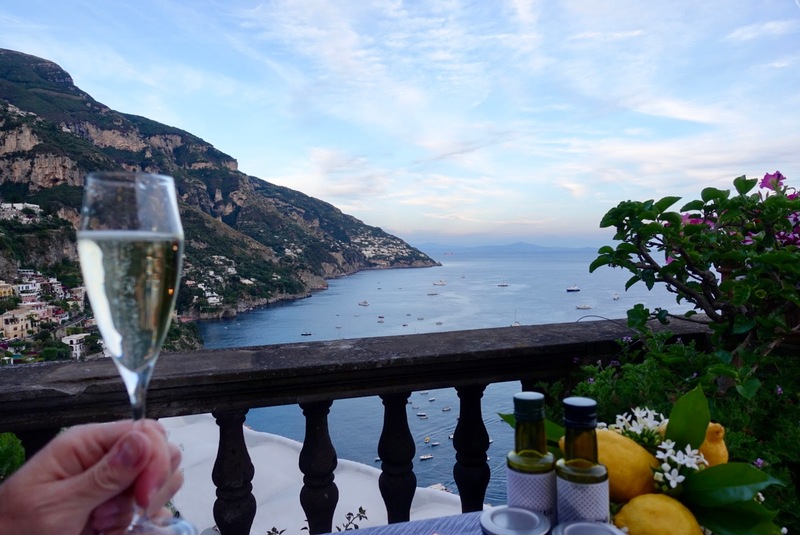 A highlight here is by no doubt the dinner on the terrace with picture-postcard perfect views over the Mediterranean and the delicious traditional Italian food from chef Luigi, who is an exceptionally amiable person! 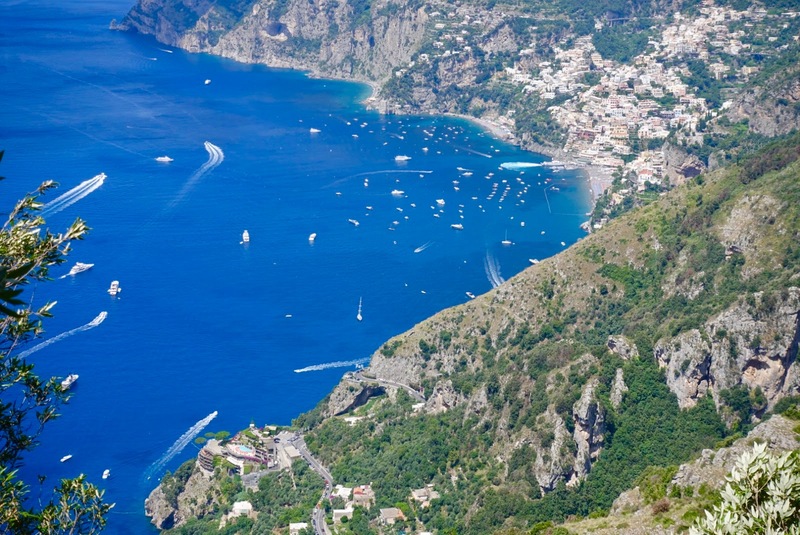 If you are into wonderful coastal landscapes, then there is no way around going to the Amalfi Coast. It is of such unparalleled beauty that pictures cannot do it justice, you have to see it with you own eyes! 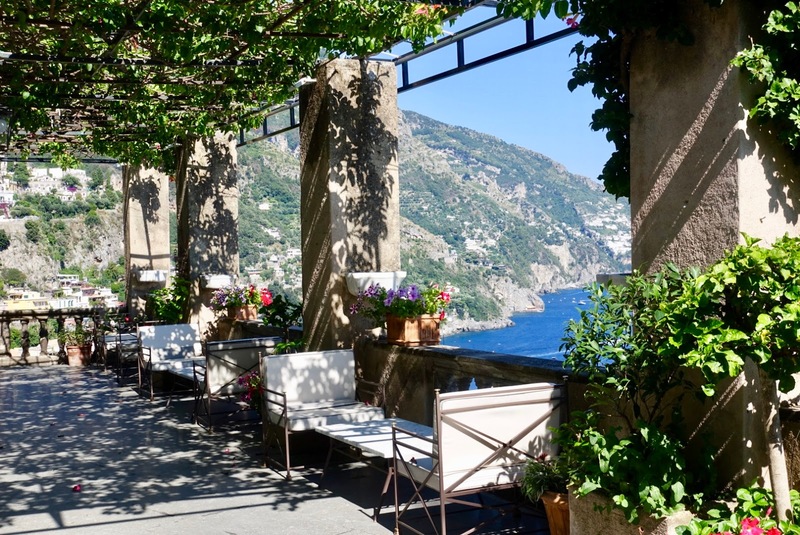 My next blogpost will be on a recommended lunch restaurant and three great fine dining spots in Positano. 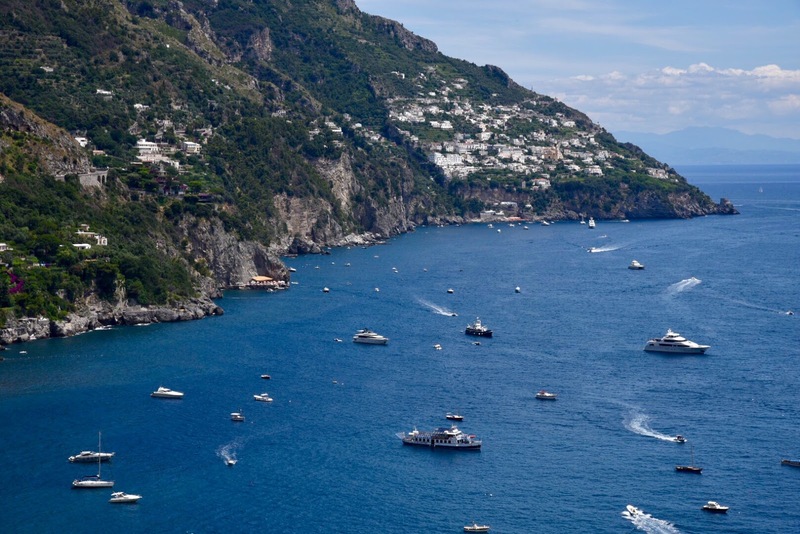 Another one about five worthwhile day trips on the Amalfi Coast can be found here later on.